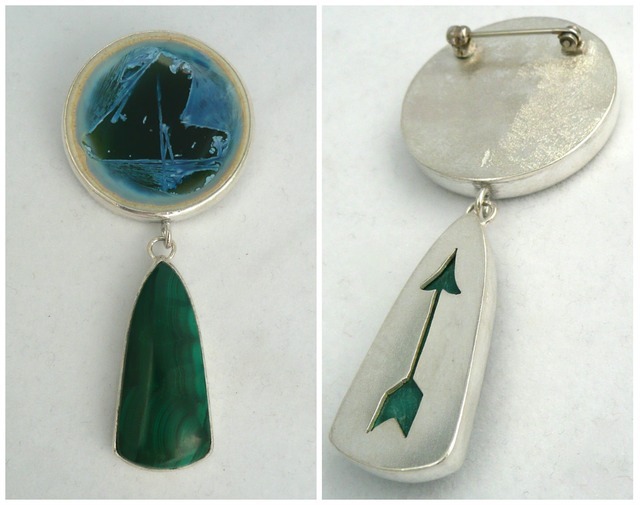 “Decorated I” pierced sterling silver, malachite, crystalline porcelain cabochon by Alexis Templeton. 3” x 1.5”, 2013. Retail $260.